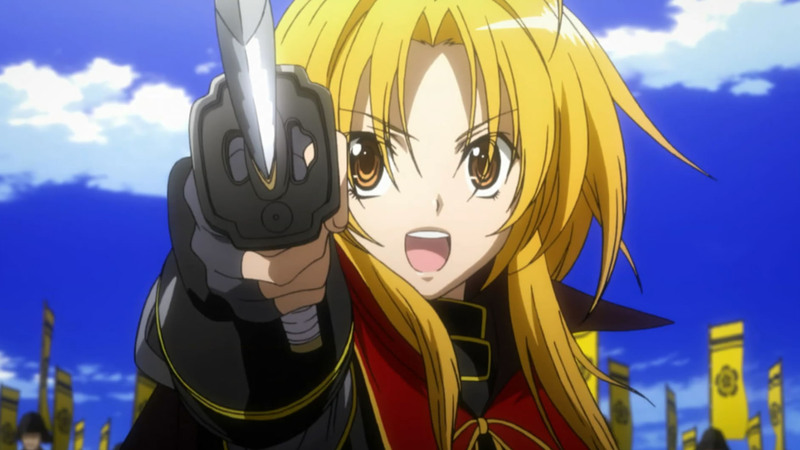 Sentai Filmworks Licenses "The Ambition of Oda Nobuna"
In an alternate past where the armies of Japan are led by female warlords, one woman’s dreams will shape a nation in SentaiFilmworks' latest acquisition, The Ambition of Oda Nobuna. This historical action comedy series is directed by Yuuji Kumazawa (Sunday Without God, The Irregular at Magic High School [Assosicate Director]) with series composition by Masashi Suzuki (Kanokon: The Girl Who Cried Fox, Koe De Oshigoto! ), music by Yasuharu Takanashi (Fairy Tail, Smile Precure!) and animation production by Studio GOKUMI (A-Channel, Koe De Oshigoto!) x MADHOUSE (Death Note, High School of the Dead). Thrust into the past, the young and ambitious Sagara Yoshiharu longs to fulfill an old man’s last wish. Yoshiharu is a curious high schooler who suddenly finds himself making an important promise to a wise elder, Kinoshita Tokichiro, who has just been hit by a stray bullet. Before Tokichiro dies on the battlefield, he describes the glorious world of his dreams to Yoshiharu. His fantasy was to be surrounded by women and living in a giant castle. Luckily, in this version of the notorious Sengoku period where Yoshiharu finds himself, all of the important Samurai lords are cute girls who can help this dream come to life and satisfy those desires. In this world he meets a stunning young girl, Oda Nobuna. Strong-willed and beautiful Nobuna gives him the nickname “Monkey,” while he learns the ropes. During battle, it’s every man for himself, but what if the most impressive warriors are girls? The Ambition of Oda Nobuna will be available soon through select digital outlets with a home video release to follow.